Your business’ location can determine your success. However, that doesn’t mean you can’t change location when you need to. To take advantage of new opportunities such as new residential areas, better amenities, etc..
You opened up in an area where there’s little need for your services. Leases on your current location have made profitability challenging. Moving your business is a tough decision. When you have made that decision to relocate, there’s a lot of work to do. And there are probably things you didn’t even realize about moving business locations. Here are five things no-one tells you about changing locations that you should know about. One of the first things to consider is the new insurance rates. Different zip codes have different risks and therefore your insurers may want to charge more or less after your move. You might also need to insure your equipment, stock and staff during the move. You might let everyone know about your new location via social media, newsletters, and notices throughout your website/office; but that doesn’t mean everyone will realize you’ve moved. You will have to continue to market your relocation for a long time after you’ve moved, otherwise you can lose revenue. If you relocate from one road to another round the corner, this might not be such an issue. However, if you move towns or even states, you can find yourself losing vital employees. This can significantly affect your business’ productivity and potential revenue. Costs can change for your business as you move. You might have additional delivery costs. or you could be forced to use another supplier that charges more for your supplies. Moving office can also result in a loss of tax breaks and benefits, so always make sure you know what the financial implications are before the move. There are going to be times after the move when you struggle. That could be because you’ve memorised the old address/telephone number and give that by accident, or you are slower at working because you’re use to the old setup. Give yourself, and your team, time to get settled into the new environment. 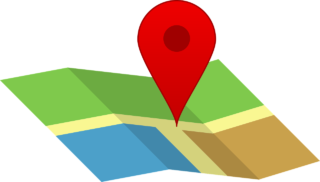 Moving your business’ location is a big decision, so you’ll need to be sure that it’s the right one. While some aspects about the move might seem obvious, there are a few things people won’t tell you about. Remember the above and include them in your assessment of whether or not a move is right for your business. Have you changed business locations? What advice do you have?